People around the world are getting ready to say “hello” to 2017, while some have already done that in places such as Australia and New Zealand. Security has been strengthened in almost every country in order to carry out safe New Year’s Eve celebrations, preventing this way any terrorist attack as those that happened in Berlin and Nice. 2016 is coming to a close tonight, after a year that was filled with political surprises, armed conflicts, and major changes. As well, this year was marked by the death of a significant amount of celebrities such as Carrie Fisher and Gene Wilder. New Year’s Eve celebrations in Australia. Image credit: Twitter via @Australia. “We must remain vigilant at all times, and we are asking citizens to also be vigilant”, said French Interior Minister Bruno Le Roux regarding security for tonight. Every year people gather at the most emblematic places of their cities to welcome the New Year. Among the first to say “adieu” to 2016 are the citizens of New Zealand and Australia. They started the party at 11 a.m U.K. time. And they have already welcomed the New Year with major celebrations holding tributes to the celebrities who died during this year. The authorities are increasing the security measures given the numerous terror attacks that took place this year such as those in Berlin, where 12 people were killed by a hijacked lorry that was being driven by an extremist into a crowded Christmas market. Berlin police spokesman, Thomas Neuendorf, said that they are taking every measure to prevent similar attacks. An extra 2,000 police officers have been mobilized in London. Buses in this city will be used to close off some pedestrian areas to avoid terror acts to take place. In Cologne, security has also been strengthened to prevent last year’s event, when local police failed to prevent sexual assaults and a series of robberies. In Milan, authorities have banned trucks from the center of Rome and Naples. The security has been improved around the main squares. In this Italian city, police shot dead the Berlin lorry attacker. An extra 1,600 police officers will be deployed in Madrid. They will control access to the city’s central “Puerta del Sol” square. In France, people continue to fear terrorist attacks, after 130 died in November 2015. Heavily armed soldiers are patrolling popular tourist destinations. Around 600,000 people are expected to gather on the Champs-Elysees to watch the fireworks at midnight. 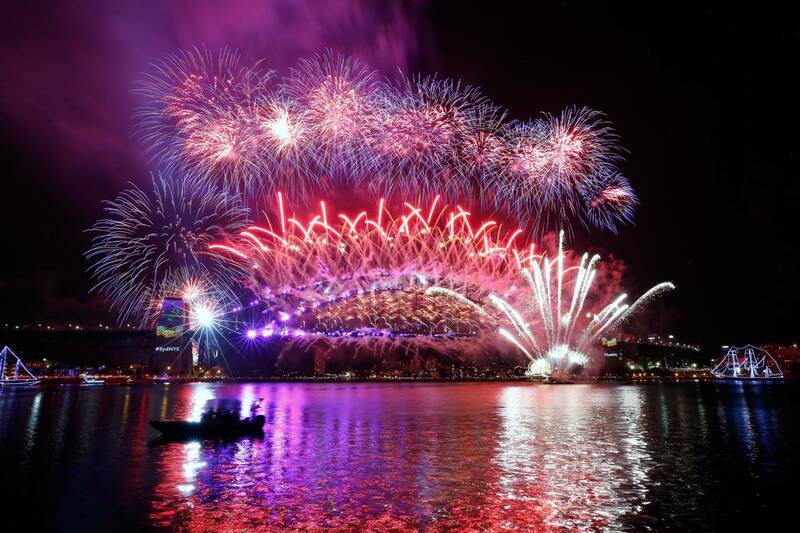 Around 1.5 million people were expected to celebrate at the Sydney Harbour watching the fireworks show. About 7 tons of pyrotechnics were used. After a year that saw the deaths of numerous entertainers and celebrities, Sydney honored its beloved ones. As well, the fireworks show included a “Willy Wonka” moment to honor actor Gene Wilder’s famous role. More police officials were displayed in Sidney. However, the authorities urged people to celebrate as normal in spite of the terror attacks around the world. Police arrested a man on Friday who made threatening posts on social media regarding New Year’s Eve celebrations at the Sydney Harbour. 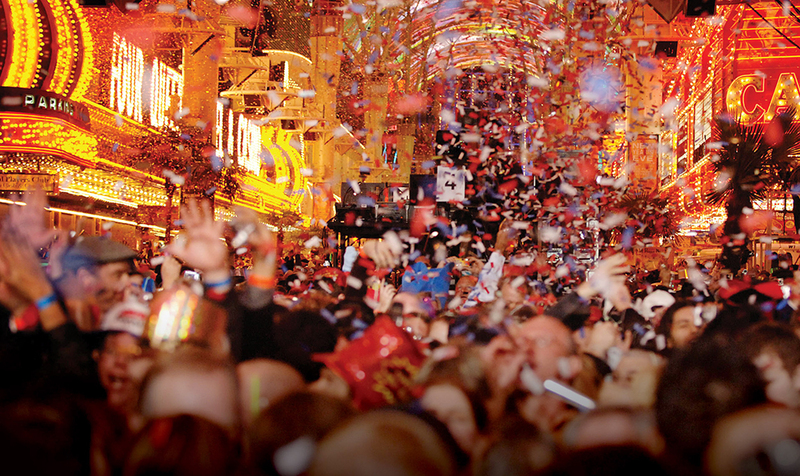 300.000 visitors are awaited to be in Las Vegas for an extravagant New Year’s Eve celebration. There will be an eight-minute fireworks show at midnight with rockets launching from the tops of casinos. As well, artist such DJ Calvin Harries, T-Pain, Drake, and Bruno Mars will be performing at nightclubs. Federal officials ranked Las Vegas’ celebrations just below the Super Bowl and on part with Time Square’ celebrations, where people reunite to see the famous glitter ball drop while 7,000 officers will be on patrol. FBI will work with local police to guarantee security tonight. New Year’s Eve Party in Las Vegas. Image credit: Queerty. People in Beijing and Shanghai, which are China’s two largest cities, are going to spend New Year’s Eve in a state of security lockdown. Beijing police said that countdowns, light shows, and other activities will not be taking place in popular shopping districts such as Sanlitun and Guomao. They recommend people to avoid popular areas. The Bund Waterfront in Shanghai won’t be a place for celebrations. Selling, using and carrying fireworks in central Shanghai will be prohibited. Buildings that often display light shows will remain dark tonight. This comes after 30 people died two years ago in a deadly stampede on Shanghai’s waterfront when thousands gathered to watch the light show.